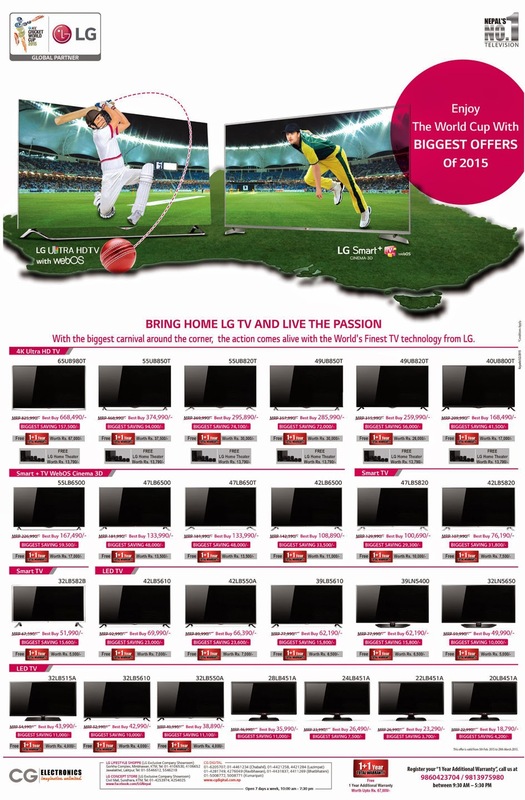 LG the global partner for ICC Cricket World Cup 2015, that's going to be held in this month has launched the biggest cash discount offer in its different models of Smart TV. You will get cash discount from NRs.4000 to Nrs. 160000 on the purchase of LG TV. You can also get LG Home Theater in some model of LG TV including 1 year additional warrenty.